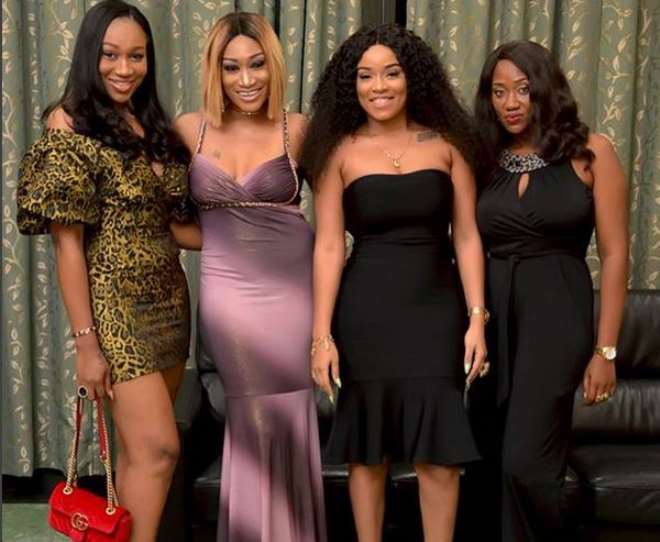 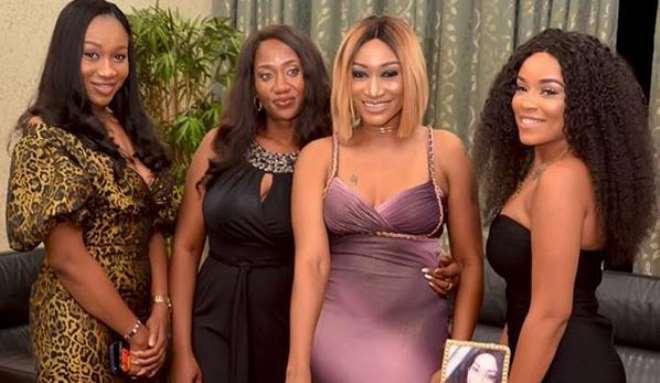 Pretty Nollywood actress, Oge Okoye, recently turned a year older and while she thanked God for a good day in good health, her friends did not abandon her as she was hosted to a nice dinner. 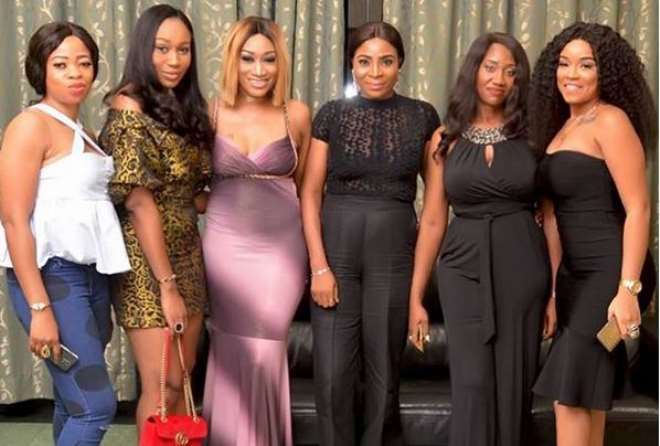 Hmm, with these dinner thing I’m already believing or having the mind-set that dressing for dinner as a lady, there is no need to have a bra or pants on, seriously. 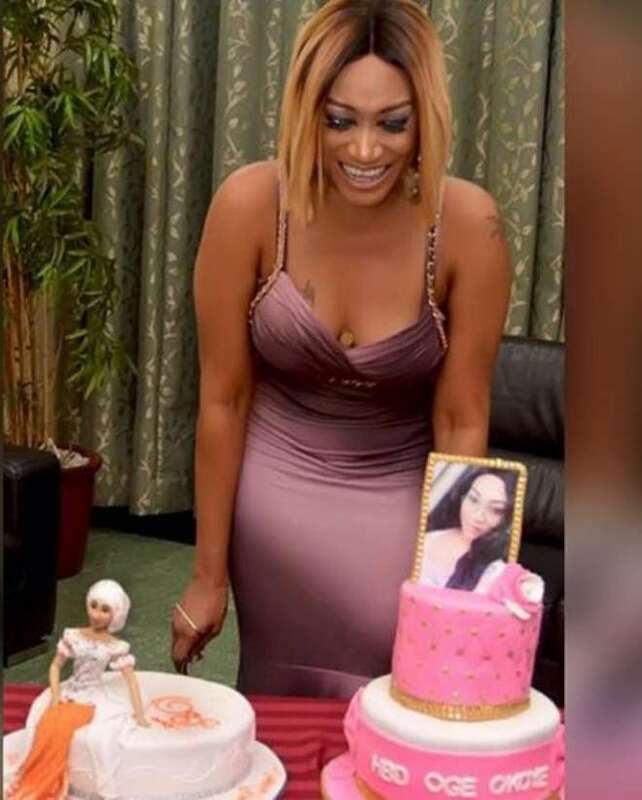 It was indeed a day of celebration but like the saying, pictures don’t lie, some of her friends that turned or posed with her for photograph were rather showing us their fallen milk factory.